Groovy Goods is a positive, friendly, and welcoming store providing modern hippie clothes. Groovy Goods is your Des Moines hippie store! 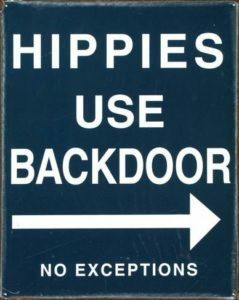 Everything for the Hippie at Heart! Groovy Goods is a Community. Welcome to the Tribe. Everything for the hippie lifestyle. Supporting local artisans & music. Giving back to our community. 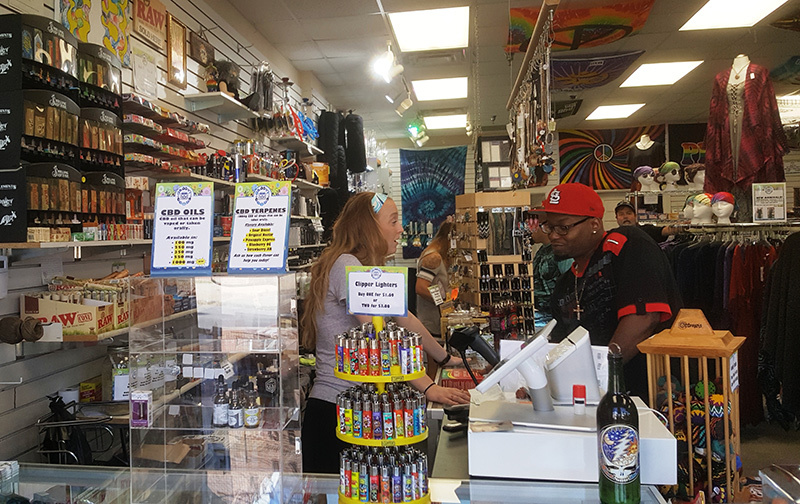 More than just a store, Groovy Goods has a vision of community, a tribe, brought together by peace, love & rock ‘n roll, living the hippie lifestyle. When you come into the store, you’re greeted by one of our friendly staff and the smell of patchouli. You feel the positive energy of the salt lamps & healing stones. You’re drawn deeper into the store by the vibrant colors of the clothing and tapestries. You feel the love that can come only from a small store where everyone is focused on helping you find what you need to bring that groovy feeling home. You’ve arrived in a place where everyone is welcome and where no one is judged. Where you can ask questions and get good advice, whether you’re putting a new outfit together, or are looking for natural remedies, or your next golf disc. You’ll find the biggest selection of local glass creations, and a wall devoted entirely to local music, new age and other community happenings. You’ll also have a chance to participate in food and clothing drives, Toys for Tots and other charitable efforts. It’s groovy to give back to the community that has done so much to support this store over the years. Keeping the legacy alive. Groovy Goods is honored to continue what Daydreams started more than 20 years ago. Groovy Goods is a new name on a store location that has a long and successful history of supporting the hippie lifestyle in central Iowa. And the connections go even deeper. The owners of Daydreams, Kathy and Jerry, and the owner of Groovy Goods, Elaine, enjoyed a close friendship for many years. Kathy and Elaine met at Iowa State University in 1977, and were BFFs for more than 39 years before Kathy passed unexpectedly in December 2016. Elaine and Jerry became friends when he and Kathy got together in the early 1990s, until his death in early 2015. The first Groovy Goods in Texas was inspired by Elaine’s experiences while visiting Daydreams, and was founded under the tutelage of Kathy and Jerry. When Kathy passed away, leaving Daydreams without a future, Elaine couldn’t let the store die, too. Legal issues prevented her from keeping the Daydreams name and the next logical choice was to rebrand it as Groovy Goods. The name has changed but the spirit of the store and everything it stands for has not. Kathy and Jerry’s dream lives on here, in the store and in you, the people of central Iowa, who made it all possible. This spot is tucked in the middle of an array of shops in the Drake neighborhood. They have awesome candles, smoke/odor exterminator sprays and incense. Huge variety of tie dye items, even onsies. A lot of little knick knacks. Very friendly and really knowledgeable about the in store march. Didn't hurt they remembered me even as rarely/randomly as I come in. Will def be coming back as they make you feel relaxed and at ease. I use to like going to daydreams but I was sold a broken hookah and the lady claimed I was aware. Who would by something that would leak everywhere? Not a fan of this business anymore.